Dr. Rabinovich is a Board Certified physician with advanced training in Oral Surgery as well as Cranio-Maxillofacial Surgery. Educated in both medicine (MD, SUNY Downstate College of Medicine) and dentistry (DDS, Columbia University), Dr. Rabinovich is an expert in Dental Implant Surgery and bone regeneration procedures, Corrective Jaw Surgery (Orthognathic and TMJ) and Facial Reconstruction (Trauma and Cleft Lip / Palate deformities). He successfully performed several thousand of dental implant and bone grafting procedures, conducted clinical research and authored a number of medical articles. He began his medical training in New York City, where he attended a prestigious Columbia University School of Dental and Oral Surgery, graduating with a DDS degree. Dr. Rabinovich continued on to complete his medical school training at the State University of New York, Downstate School of Medicine, earning an MD degree. After graduating from medical school Dr. Rabinovich underwent residency training in General Surgery and Maxillofacial Surgery at Kings County Hospital, well known for its busy and rigorous trauma and facial reconstructive surgery program. As a surgical resident Dr. Rabinovich developed a special interest in Craniofacial Surgery and was selected to pursue a fellowship at Georgetown University / Posnick Center for Facial Plastic Surgery. During his fellowship Dr. Rabinovich had the opportunity to work with some of the world’s leading surgeons in the field of Head and Neck Surgery from Georgetown and Johns Hopkins Universities. In addition to his passion for facial cosmetic surgery, Dr. Rabinovich has a tremendous interest in reconstructive facial surgery, including cleft lip and palate and other congenital and acquired facial deformities. 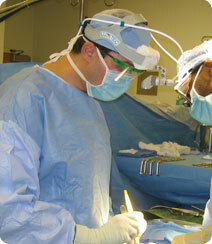 He participates in medical missions abroad to perform free reconstructive surgery for children in need. 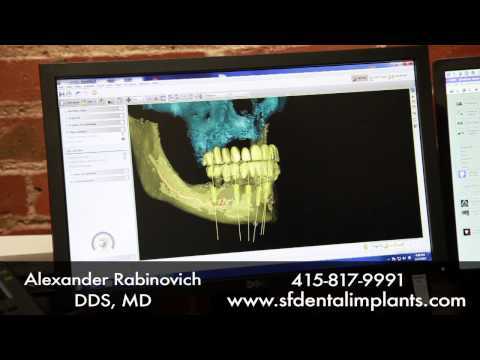 Dr. Rabinovich lives in the San Francisco Bay Area with his wife and two sons. He enjoys travelling and outdoor activities, such as skiing in Lake Tahoe and scuba diving. He is excited to be able to apply his knowledge and skills to care for his patients in a safe and comfortable environment in our beautiful state-of-the-art office.